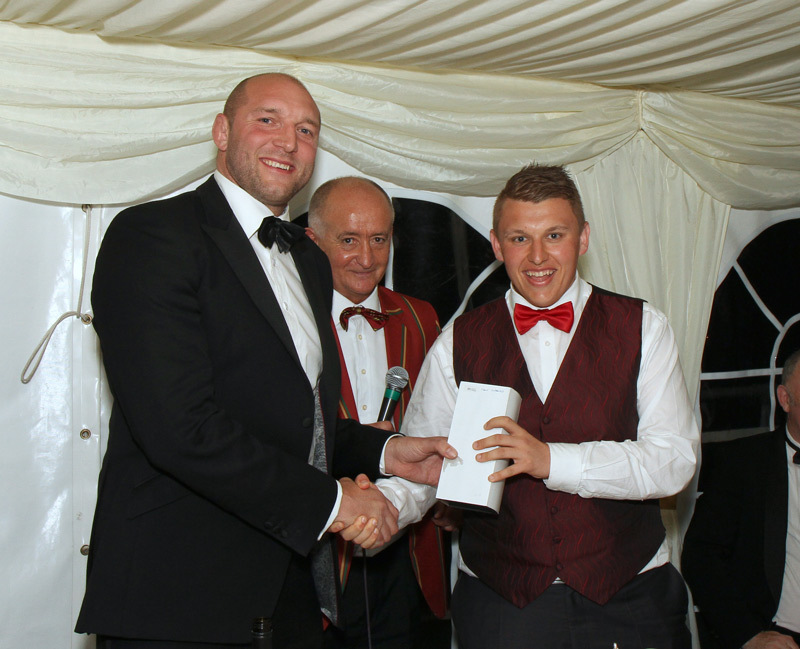 Norwich Rugby Club was very pleased to entertain guests at its end of season Annual Dinner which took place at the club on Thursday evening. The club were thrilled to welcome to this year’s dinner their special guest of honour: former England, British & Irish Lions player and 2003 World Cup winner Ben Kay. Ben kept the audience entertained with tales of events that had happened during his career. 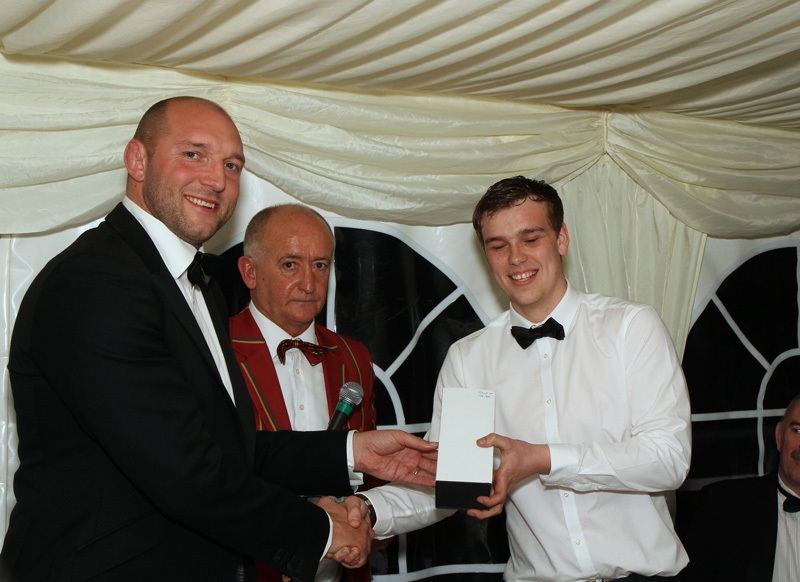 300 diners gathered to draw down the curtain on another season and what a great season it has been with the 1st XV being promoted for the first time in 12 years. Successes for Swaffham, North Walsham and Wymondham in gaining promotion too have made it a great year for Norfolk rugby. 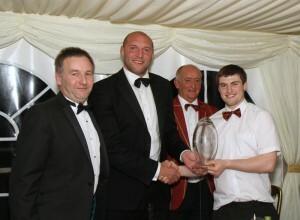 Phil Tweedie, Group Financial Director of Anglian Home Improvements (left), Ben Kay is seen here with presenting the Anglian Home Improvements Player’s Player of the Year trophy to Norwich 1st XV Captain Dave Micklethwaite. Also in this shot is the Norwich President Andy Ball. Anglian would like to send their congratulations to all award winners. It has been a hard fought season and we will look forward to watching the club in the new league next season.